Writing a lay summary is easy, right? Not necessarily! The lay summary is an extremely important part of most research bids. Most researchers think they write it well, and yet many bids fail because it is not ‘lay enough’. The topic was debated at this year’s ARMA conference (Association of Research Managers and Administrators) in bonnie Glasgow. The highlights of the session are detailed below. A lay summary is used to explain complex ideas and technical and scientific terms to people who do not have a prior knowledge about the subject. A lay audience is heterogeneous (it includes the general public, patients and users of the science, politicians and other decision-makers, and researchers in different disciplines such as potential research collaborators). A lay summary is a requirement at application stage by most funding bodies, including the UK research councils. When applying to UK research councils you are normally allowed up to 4,000 characters for your lay summary. There is no need to use all of these characters; often being concise is good for a lay audience! There are also some funding bodies that enforce a much stricter word limit, such as the British Heart Foundation who only allow up to 100 words for a lay summary. What is the definition and purpose of a lay summary? ESRC – “Write in plain English. Your proposal is likely to be seen by a great many people, some of whom will not be versed in your particular specialisation. Detail and specification may necessitate the use of disciplinary or technical terminology and this will be clear to peer reviewers, but the ideas you wish to convey and your reasons for doing so should be apparent to a wide audience. By the same token, do take the trouble to check spelling, grammar and punctuation. These are all part of the quality of presentation and presentation matters! To answer who, what, where, when, why, how? Painting the bigger picture: The lay summary is your first chance to impress the reviewer! Reviewers are very busy and in the majority of cases the lay summary is the first (and sometimes the only) part of a grant application that he/she will read. It is therefore vitally important that it is interesting, easy to read and conscise. It needs to give an overview of the whole project – the background, aims and expected impact. Be written in plain English: A strong lay summary will always explain any technical terms used, spell out abbreviations, and avoid using jargon. It will also be written in ‘plain English’ but what exactly does this mean? Titles should be simple and clear. The European Commission’s FP7 guidance states that titles should be understandable to the non-specialist in the field. The best format for a title is to give a short statement followed by a colon and then a brief explanation. Simple analogies should be used to help the reader make sense of complex ideas. 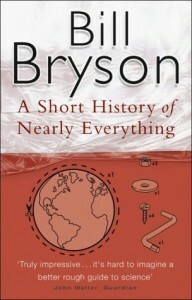 Arthritis Research UK suggest a good example of this is Bill Bryson’s book ‘A Short History of Nearly Everything’  which uses analogies of everyday objects and activities to explain complex scientific concepts. Whilst simple analogies might mean that you lose detail and may not be perfect then strengthen your proposal if they make your ideas clearer to the reader. Clear layout – avoid using English phrases (such as ‘the lion’s share’) as these may not be understood by the reader. Avoid using double negatives as they cloud meaning. Order the paragraphs logically – start with the problem your research aims to solve so the reader can identify with this first. Break up blocks of text with bullet points, shorter paragraphs, etc. It is good practice to match the layout with the layout of your objectives. 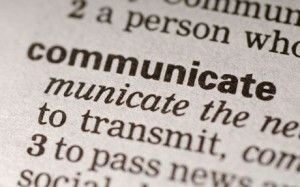 Do not use jargon (unless it is defined and explained in the summary) and ensure all abbreviations are spelt out. BU’s internal peer review scheme (RPRS): Support for writing and strengthening research proposals (including writing a good lay summary) is available via the internal Research Proposal Review Service (RPRS). Visit the RPRS webpage for further information!